Have you guys seen the latest Moda All-Stars book? 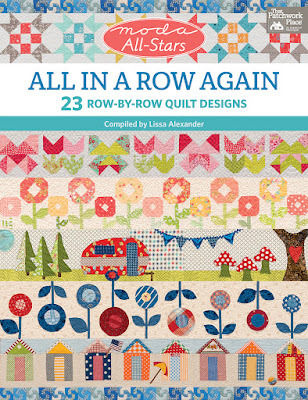 All in a Row Again, compiled by Lissa Alexander and published by Martingale has fantastic rows we can assemble in a quilt or add to our own quilt designs. It is really difficult to pick a favorite! I love that the rows will look great regardless of the type of fabric you use: modern, traditional, 1800s reproduction, 1930s... The designers went all out and did not skimp on charm, creativity, and whimsy. The rows look amazing on their own, too, making it easy for us to come up with smaller quilt projects which are fast and fun. Silhouette, embroidery, applique, piecing... I am just not sure which one to make first. Speaking of making, head over to Martingale's blog to see the schedule of the Moda All-Star: All in a Row Again Blog Hop. 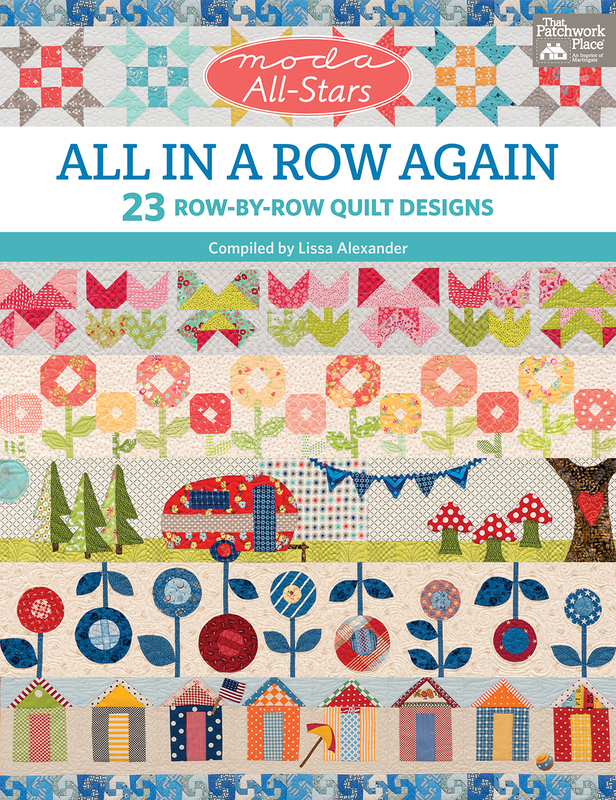 You can quilt along, win prizes, and follow everyone's progress on the sew along by following the All in a Row Quilt Along Facebook page. 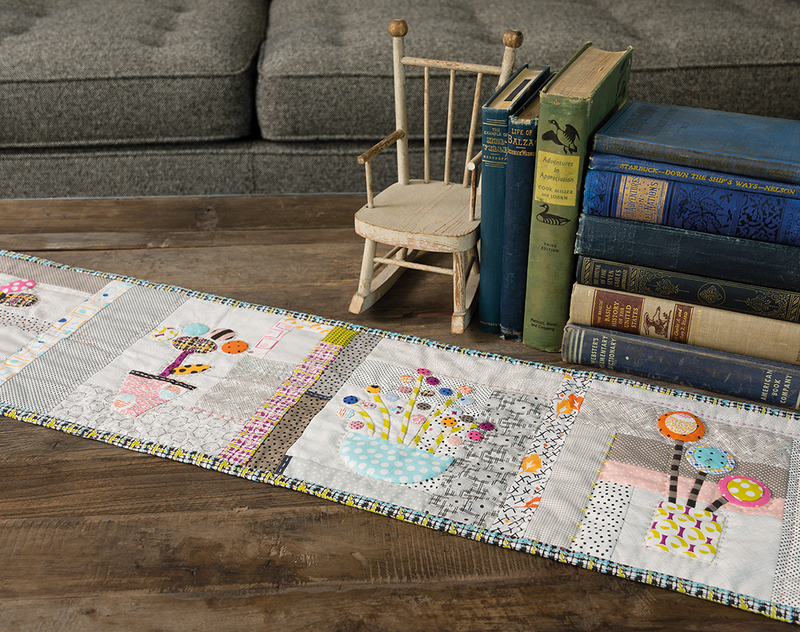 The instructions are easy to follow, the diagrams are clear, and if we want to put on our designer hat and come up with a new row quilt, we can choose from one of Lissa Alexander's blender rows - awesome help... Thanks for thinking of those rows, Lissa! When we purchase this book we are blessing ourselves with inspiration for creating beautiful quilts. Best of all, since all the designers are donating their royalties to benefit Give Kids the World Village, we are also blessing children with life-threatening illnesses by helping to provide vacations for them and their families. It is a rainy, grey day in Utah today and the prospect of snow looms on the horizon. However, Moda All-Stars: All in a Row Again has just made everything brighter for me! I can't wait to get my book! Got the ebook and Ready to start Making!